It’s been a while since I was actually interested in a multiplayer game with random strangers from the start. Usually I’ll warm up with some friends and if I like it enough, I’ll go public. Nintendo had my best interests in mind with Splatoon because it turns out that playing a fun game with other people is pretty fun. It doesn’t hurt that Nintendo gave its newest franchise the polish of its established brethren complete with an adorably infectious new world full of Inklings. Let’s get our splat on all over this town. 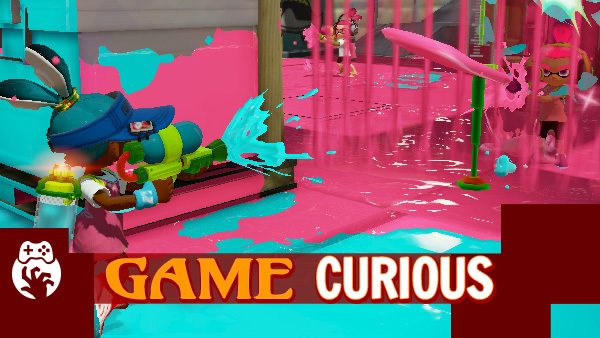 Splatoon was released on May 28, 2015 and is available on Wii U. ← Super Gaming Best Friends #407 – But What Level is Your Beard?